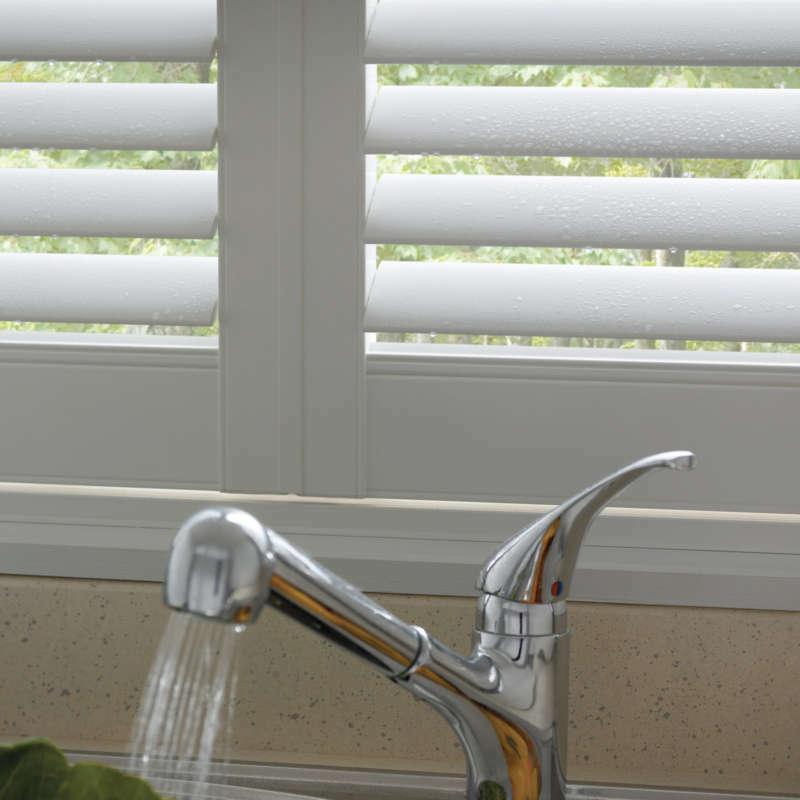 ﻿ Waterproof Window Shutters, Winchester,… | The Great Shutter Co.
Finding a solution for window coverings in bathrooms can be tricky. Finding one that will stand up to the test of time and is easy to clean is even trickier. 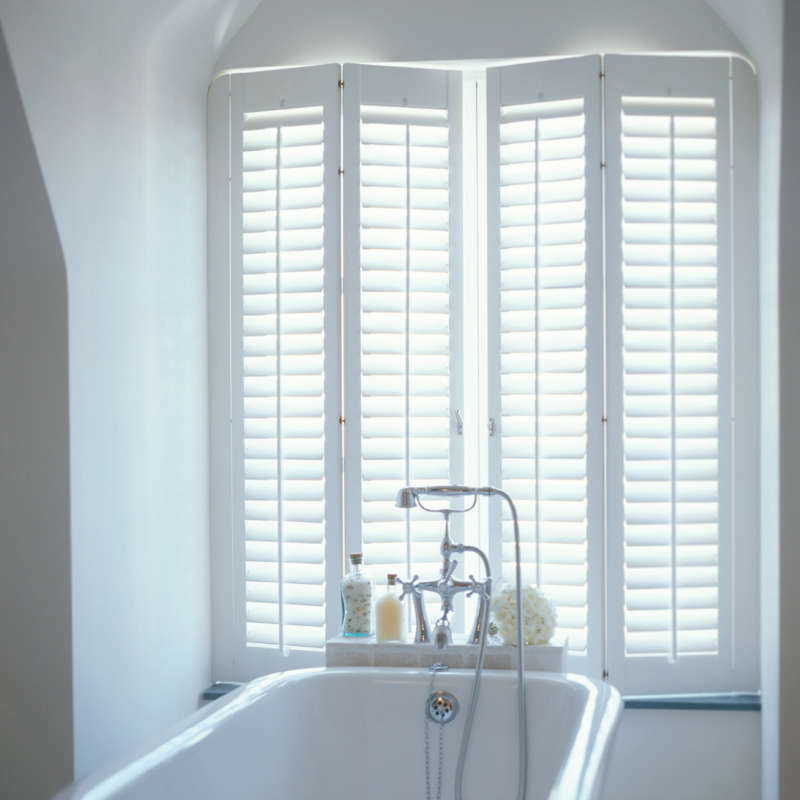 This is where our waterproof bathroom shutters provide an ideal solution. 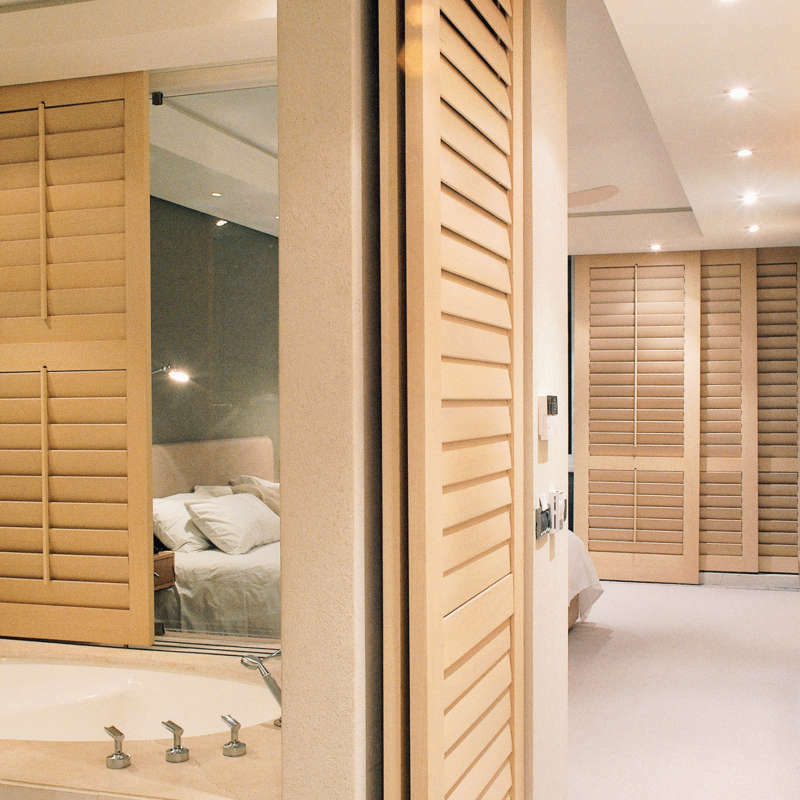 With a guarantee of up to 25 years you can rest assured that the shutters we provide are not just long lasting, but also allow you to control levels of privacy like no other window covering. What are the waterproof shutters manufactured from? We offer a couple of different ranges that are waterproof. The Alresford Shutter Range is a 100% waterproof shutter range manufactured from ABS plastic while the Basingstoke Range is manufactured in vinyl. The main differences between the two ranges are delivery time and guarantee with The Basingstoke having a delivery time of two weeks and a 25 year guarantee while the Alresford has a 3 year guarantee and a delivery time of 8 weeks. Both the vinyl and ABS are very durable and resistant to fading, twisting or warping. The ABS product has profiles that more closely resemble the wood frames of the other ranges because the material itself is easy to mould. Are these shutter really 100% waterproof? 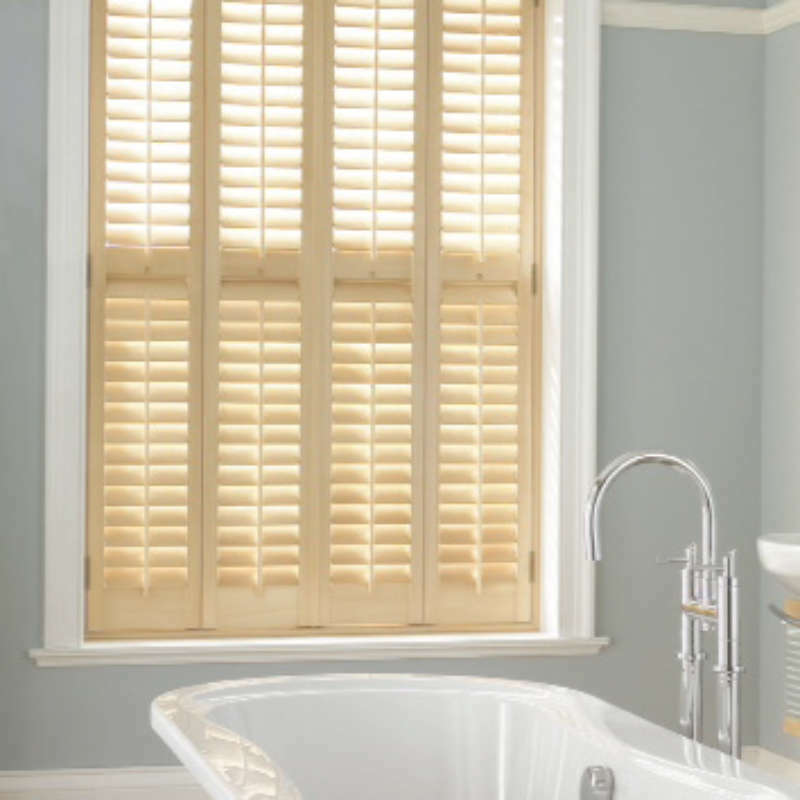 Yes, they are waterproof shutters so it does not matter whether they are sitting in a bathroom window in conditions of high humidity or you have installed them in a wetroom or shower room and they are in direct contact with water. The hardware on the Alresford range, for example, is marine grade stainless steel so will not rust. Traditional window coverings such as curtains, blinds or netting tend not to survive damp conditions very well as either the materials suffer from mould or the internal mechanisms of the blinds seize up and wooden slats warp. 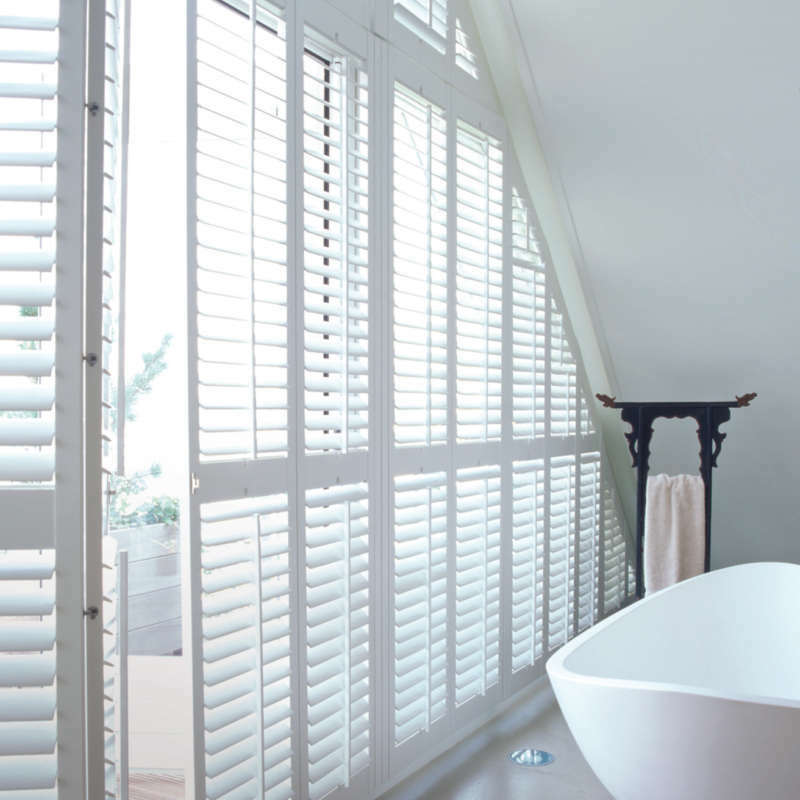 So whether you need a waterproof window covering around a pool, Jacuzzi, wetroom, bathroom or shower room our shutters will provide the ideal solution. Another fantastic benefit is that you can have your windows open letting fresh air into what are often hot, steamy, humid rooms and yet still maintain your privacy by tilting the louvres at an angle that will not let passers-by look in. Will my bathroom shutters look different to my other shutters? 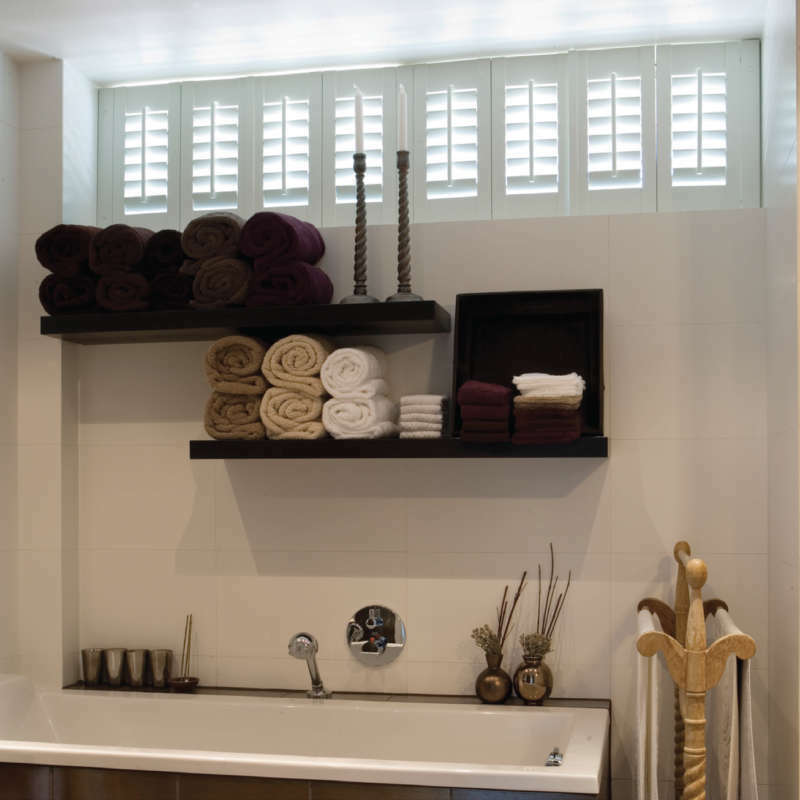 As long as you select the bathroom shutters from the same manufacturer that supplied your other window shutters (should you have chosen to go with a different material for these) there should be no issue with colours matching and louver size. In general these shutters will be seen in isolation from other shutters in the house when viewed internally. It’s the look from the outside of the house that is of greater importance in this case. Our shutters will match the shutters you have chosen for your other rooms as so irrespective of where your house is viewed from the shutters will match. We will bring samples of the different materials on our home consultation so you can get a real feel for the quality of these products.